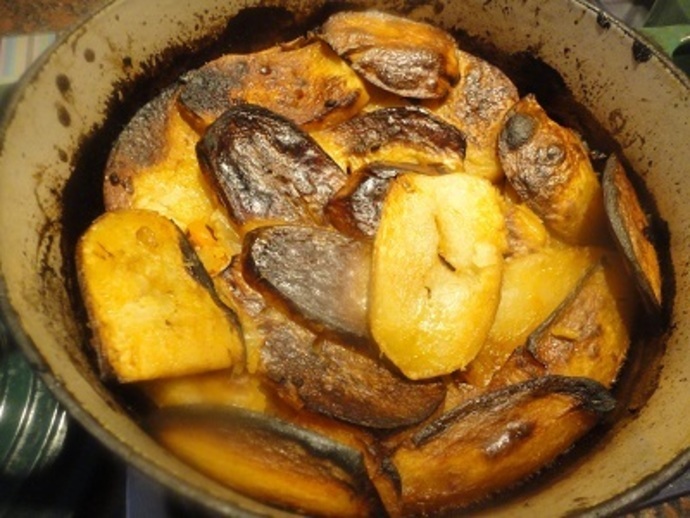 A warming and filling one pot casserole topped with crispy potatoes. 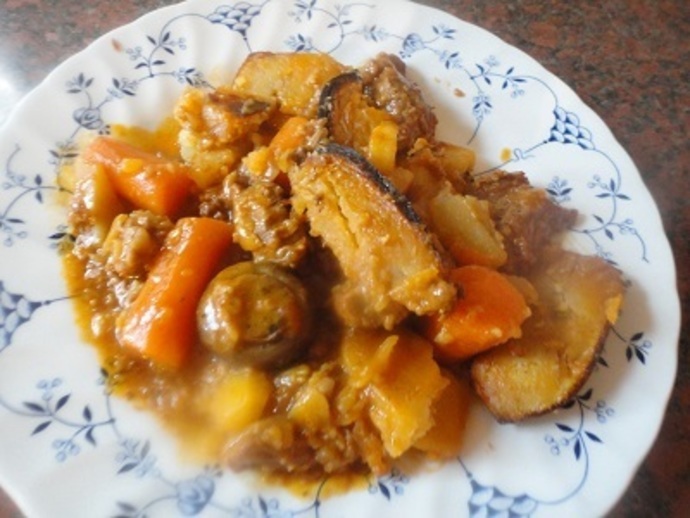 Cooking everything under a lid of potatoes means that most of the liquid is absorbed, leaving you with a comforting dish of soft meat and vegetables that contrast with the crispiness of the topping. 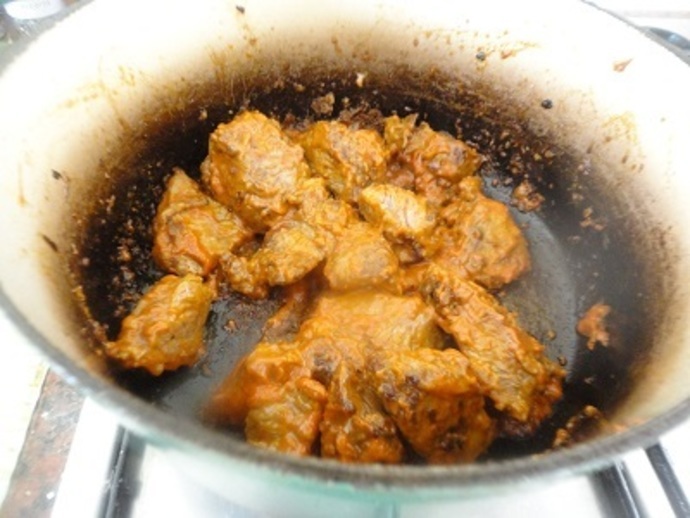 Heat the oil in a heavy casserole or frying pan. 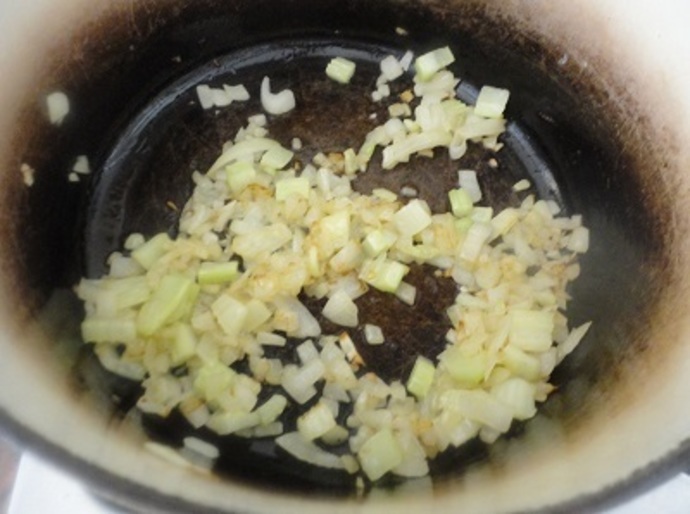 Lightly sauté the onions and celery. 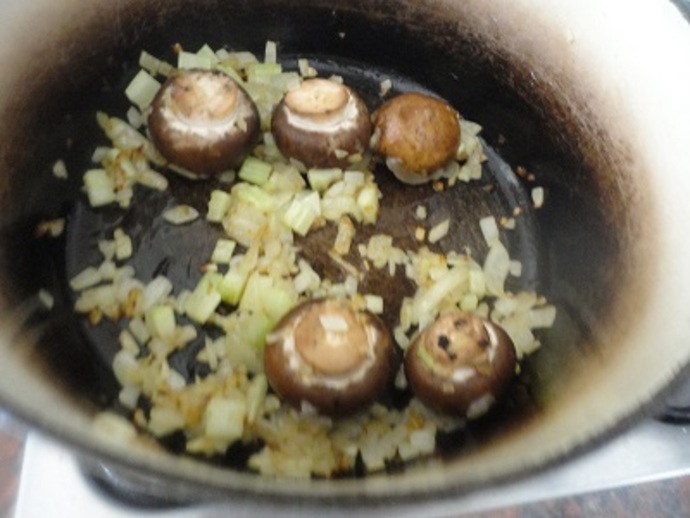 Add the mushrooms to the pot. 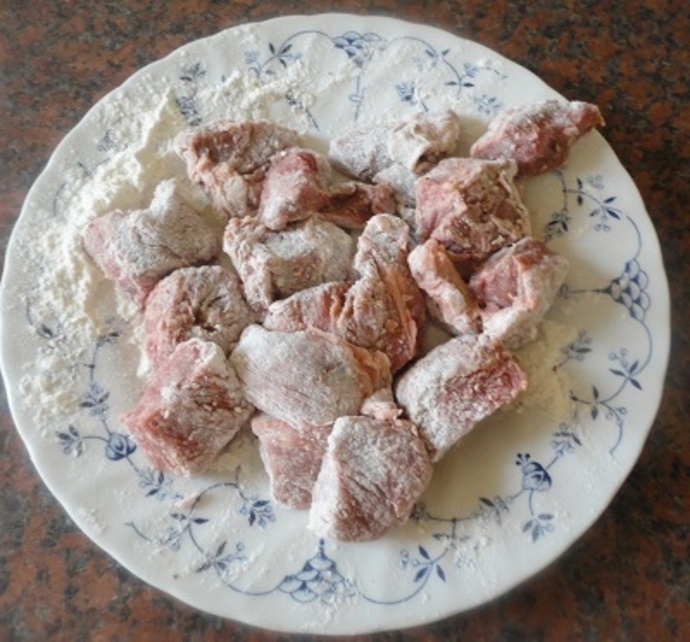 Toss the chuck steak in the seasoned flour. 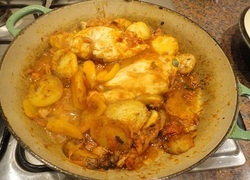 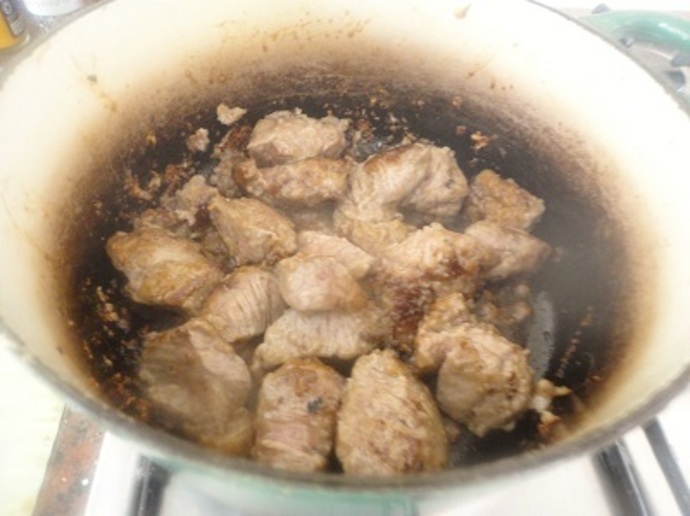 Remove the vegetables and add the meat to the pan, cooking and stirring until it is sealed and brown. 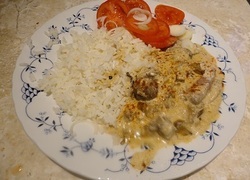 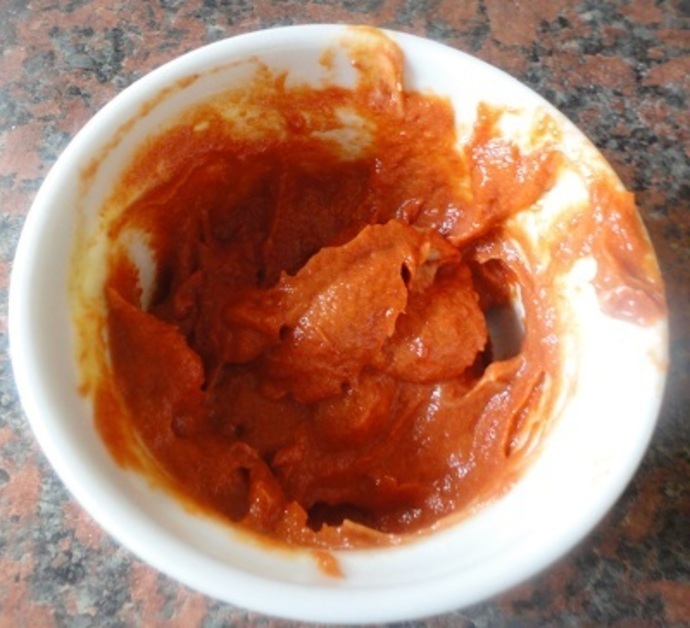 Combine the tomato pureé and Dijon mustard and stir into the beef. 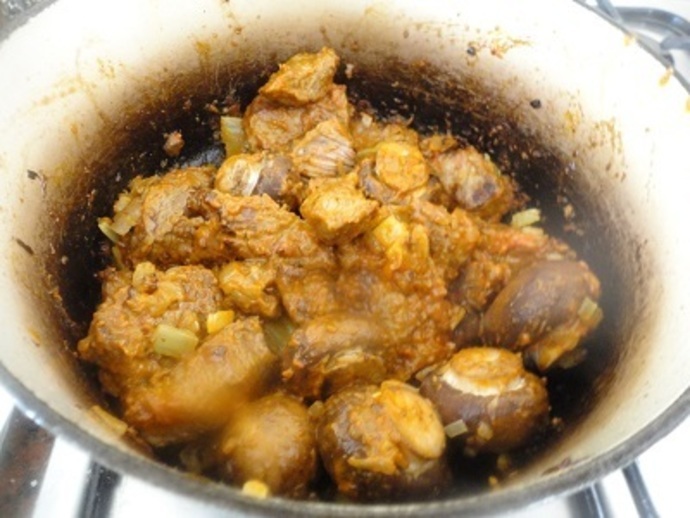 Return the onion, mushrooms and celery to the pan and add the carrots and chopped oregano, or transfer everything to a casserole if you've been cooking in a frying pan. 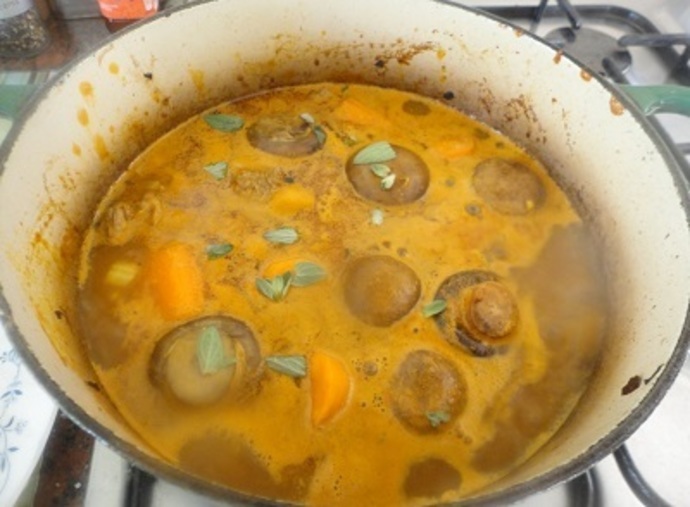 Stir in the cider and stock and bring everything back to the boil. 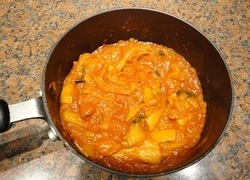 Top with the sliced potatoes, place a lid on the casserole and put in the oven to cook for about 2 hours or so until the meat is tender. 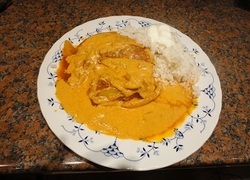 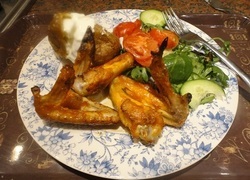 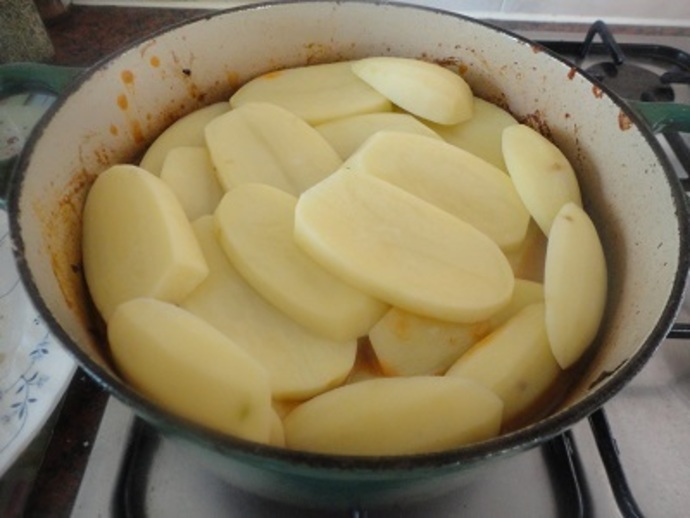 You will need to be careful as you won't be able to keep an eye on the liquid underneath the potatoes. 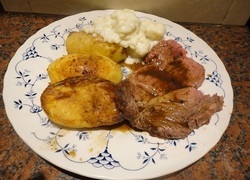 Once the meat is ready, place the casserole under the grill on a high setting and leave it for a few minutes so that the tops of the potatoes brown through and become crispy.